Probably the best egg liqueur in Thuringia. Egg liqueur "Hausmacher Art" made according to the old recipe. Incredibly creamy pleasure! The ideal gift for almost any occasion. 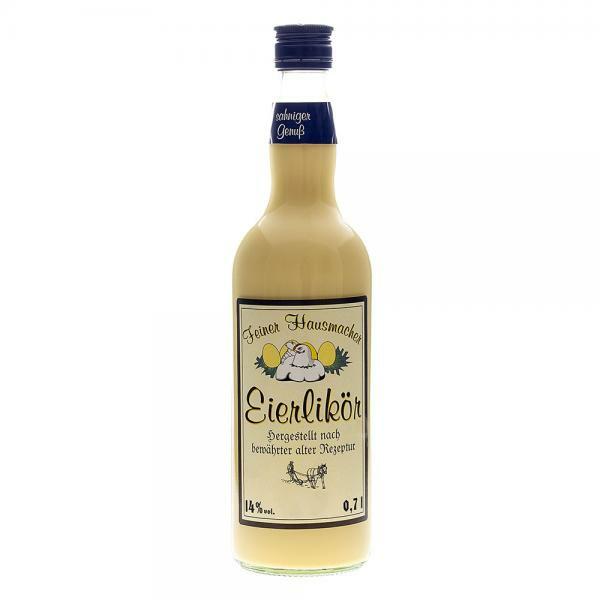 Enrich your party with this Thuringian eggnog specialty. Customer evaluation for "Eierlikör 'Hausmacher Art', 0,7l Flasche"